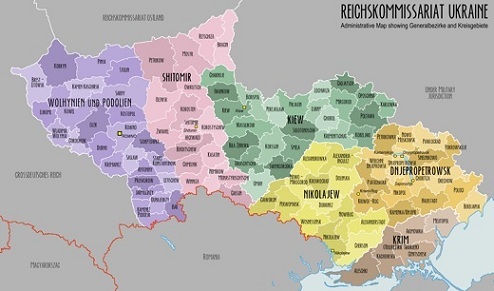 The German occupation of the Soviet Socialist Republic of Ukraine, in 1941, created the Reichskommissariat of the Ukraine. Initially, the Germans were received as liberators by some Western Ukrainians, who had only joined the Soviet Union in 1939. However, the brutal rule of the Germans in the occupied territories eventually turned its supporters against the occupation. 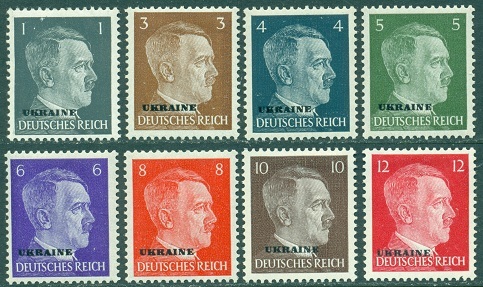 The German administrators of the conquered Soviet Republic of Ukraine made no attempt to exploit the population's dissatisfaction with Stalinist political and economic policies. Instead, the Germans preserved the collective-farming system, systematically exterminated the Jewish population, deported others to work in Germany, and began a systematic depopulation of the Ukraine, to prepare it for future German colonization. The majority of the fighting in World War II took place on the Eastern Front, and Nazi Germany suffered 93 percent of all its casualties there. The total losses inflicted upon the Ukrainian population during the war are estimated at between five and eight million, including over half a million Jews. Of the estimated 8,700,000 Soviet troops who fell in battle against the Nazis, 1,400,000 were ethnic Ukrainians. To this day, "Victory Day" is celebrated as a national holiday in the Ukrainian Republic. With the end of the war in Europe, the Reichskommissariat ceased to exist completely, and the Ukraine again became part of the Soviet Union. In 1990, after the collapse of the Soviet Union, Ukraine became an independent nation, and today, it is the second largest country in Europe. 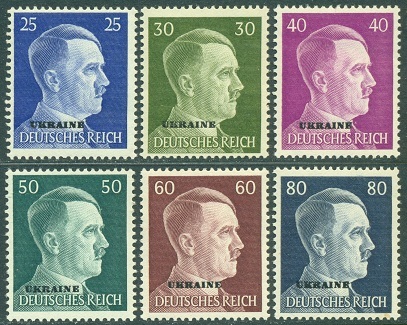 Between 1941 and 1943, German definitive stamps were overprinted "UKRAINE" for use in the territory. The complete set, except for one 12 Pf. variety, is shown above (Mi. #1-18, Sc. 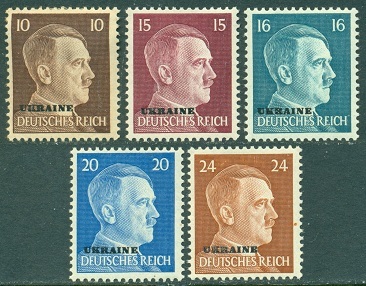 Russia #N29-48).